The shocking assassination of President John F. Kennedy is one of the darkest days in U.S. history, and one that irrevocably changed the course of the nation. Now, almost 55 years after Lee Harvey Oswald robbed the country of its young and promising leader, a critical relic from that fateful day will be put on display for all to see: The bulletproof helmet JFK took off so he could let his long, luscious hair blow freely in the wind on the day that he died is coming to The Smithsonian. Starting this month, the iconic helmet will be the centerpiece of the National Museum of American History’s new exhibit on the 35th president’s final moments, raising the question of what could have been if JFK had only left the life-saving device on his head and deprived the American public what would be its final glimpses of his handsome, flowing mane blowing in the warm Texas breeze. Those would be the last words JFK ever heard. Wolf whistles turned to cries of anguish as the president was struck dead just as he was letting his beautiful strawberry blond hair gently cascade down his lower back. A shot fired by Lee Harvey Oswald from a nearby building cut his life devastatingly short, and it all could have been prevented had JFK not removed that protective helmet to allow the American people the treat of seeing his thick, navel-length hair bouncing in the wind. 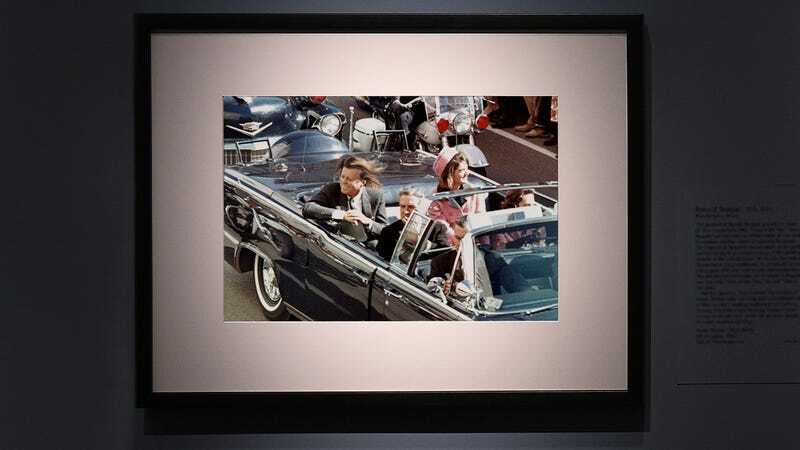 In addition to the helmet, the Smithsonian will be displaying Jackie Kennedy’s pink Chanel scrunchie, which was stained with blood as she attempted to stop the blood loss by pulling JFK’s hair into a topknot. The museum has also acquired never-before-seen photos of Lyndon B. Johnson being sworn into the presidency on Air Force One, his long hair pulled gracefully back into two demure French braids. Although we may never know what the country would look like today if JFK had been able to live out his term as president, the Smithsonian’s exhibit offers a detailed and sobering glimpse into his final moments as the president whose hair was a waterfall of blond treasure. If you find yourself in D.C. in the next few months, this must-see exhibit should definitely be at the top of your itinerary.